The purpose of this working conference organized by Eileen Anderson-Fye and Jill E. Korbin was to facilitate engaged discussion and connections to highlight policy-relevant implications of contemporary research on adolescence, particularly through the work of psychological anthropology and related fields. The conference was funded by the Lemelson/SPA Conference Fund Grant and the Schubert Center for Child Studies at Case Western Reserve University (CWRU) and was co-sponsored by the Department of Anthropology and the Childhood Studies Interdisciplinary Program at CWRU. Held November 7-8, 2008 with 15 presenters and attended by approximately 100 faculty, students, and community members, the conference brought greater awareness of the contributions of psychological anthropology to the study of human development and public policy. Consistent with the Schubert Center for Child Studies’ goals to bridge research, education, policy and practice, the conference brought together multiple perspectives on adolescents and their well-being. First, national researchers in psychological anthropology and closely related fields shared meta-reflections on the relevance of their work to policies regarding adolescent well-being. Second, local, state, and national policy experts reflected on the ways in which they use research like that presented at the conference to enrich policy and practice related to adolescents. Via these dynamic presentations and discussions investigating (1) the historical and contemporary interaction between psychological anthropology and policy, (2) contemporary research on stress and strengths during adolescent development, and (3) cultural change and mental health among adolescents, this engaged group made progress toward the goal of bridging research and policy. Through these dynamic presentations and discussions investigating the historical and contemporary interaction between psychological anthropology and policy, contemporary research on stress and strengths during adolescent development, and cultural change and mental health among adolescents, the conference made progress toward the goal of bridging research and policy. A special issue of Ethos based on contributions to the conference and solicited policy commentaries can be found here. 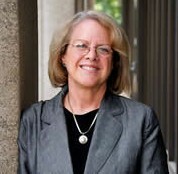 Jill E. Korbin earned her Ph.D. in 1978 from the University of California at Los Angeles. Korbin is a cultural and medical anthropologist. Her awards include the Margaret Mead Award (1986) from the American Anthropological Association and the Society for Applied Anthropology; a Congressional Science Fellowship (1985-86) through the American Association for the Advancement of Science and the Society for Research in Child Development; and the Wittke Award for Excellence in Undergraduate Teaching at Case Western Reserve University. Korbin served on the National Research Council’s Panel on Research on Child Abuse and Neglect, and the Institute of Medicine’s Panel on Pathophysiology and Prevention of Adolescent and Adult Suicide. She is Director of the Schubert Center for Child Studies and Co-Director of the Childhood Studies Program. Korbin teaches a range of courses from introductory anthropology to upper division and graduate courses in medical and psychological anthropology and on child and family issues from an anthropological perspective. Korbin has published numerous articles on culture and child maltreatment, including her edited book, Child Abuse and Neglect: Cross-Cultural Perspectives (1981, University of California Press), which was the first volume to examine the relationship of culture and child maltreatment. 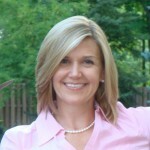 She has published and conducted research on women incarcerated for fatal child maltreatment, on cross-cultural childrearing and child maltreatment, on health, mental health and child rearing among Ohio’s Amish population, and on the impact of neighborhood factors on child maltreatment and child well-being. Eileen P. Anderson-Fye (Ed.D., Harvard University; M.Ed., Harvard University; A.B., Brown University) is a psychological and medical anthropologist whose research centers around the well-being of adolescents in contexts of socio-cultural change. More specifically, she studies how adolescents – already going through normative developmental changes (i.e. neurological, social, psychological, physical/sexual, etc.) – make sense of changing contexts around them in ways that both help and hinder their well-being, and particularly mental health.Â She especially examines their subjective sense of well-being and mental health, and how adolescents themselves make sense of their lived environments and the opportunities (or lack thereof) within them. Given that mental health concerns are rapidly becoming the most burdensome issue in global mental health (WHO 2008), and that the burden is disproportionately held by adolescents, these issues regarding adolescent mental health in cultural context are of key importance today. The intention of her work is to identify and explain processes by which adolescents at particular developmental points and in particular contexts engage in pathways to well-being or distress with the ultimate aim of interventions in practice and policy to increase adolescent well-being and reduce distress. Dr. Anderson-Fye has pursued this research through two major projects – one with adolescent girls in Belize and a second comparative study examining college student experience of psychiatric medication and mental health services. Her work in Belize is a longitudinal, mixed-methods, ethnographic examination of high school girls’ mental health in a context of rapid socio-cultural change. In particular she has examined the young women’s ethnopsychology, body image, gender-based maltreatment, and educational outcomes in light of globalization. 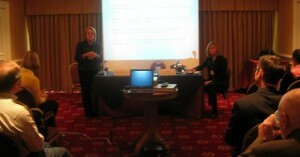 Dr. Anderson-Fye continues to pursue this work and maintain the panel study. She is also researching college students’ experiences of psychotropic medication and mental health services in the U.S. and Canada through a mixed-methods longitudinal comparative study. The large minority of college students now taking psychotropic medications often undergo a normative sociocultural change – the change from home to a peer-based residential environment. This change is significant in students’ mental health management and ultimate well-being, yet little has been known about students’ experiences and practices. This work aims to illuminate students’ subjective experiences of an increasingly common medication practice as it affects their sense of self and examine their choices around adherence and help-seeking.